Best-selling author and self-hack guru Tim Ferriss knows how to plan an amazing trip around the world. He also knows how to keep his luggage under 10 pounds. 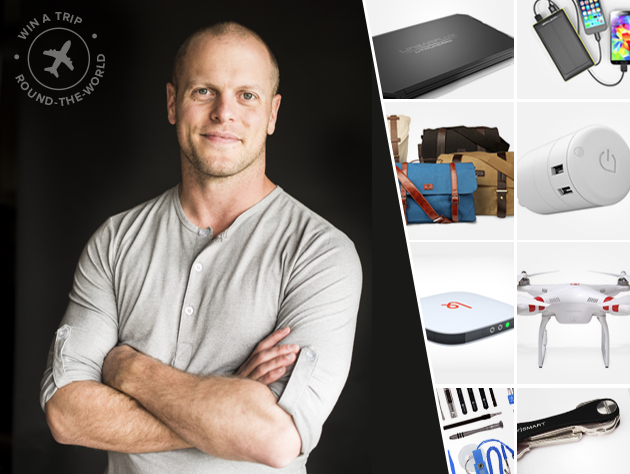 That’ll come in handy if you win our Tim Ferriss Round-the-World Giveawayâ€”a trip around the world, a Q&A with Tim Ferriss, and even a bunch of our favorite tech gadgets, all worth $4,746. What are you waiting for? Head over to SitePoint Shop to enter to win!